Why #volunteer? Your interests and experiences can help with just about any aspect of the agency’s work except law enforcement and firefighting. 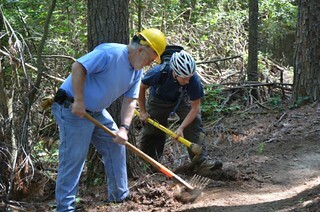 The USDA Forest Service wilderness volunteers get to see some of the most amazing views while helping with trail work. 3,000,000+ people have given 136,000,000 #volunteer hours with the Forest Service since 1972. Whether it's working outdoors with your hands or in an office on a computer, we depend on our #volunteers to care for your national forests and grasslands. No matter your interest, your age, or where you are, #volunteer with us to care for the land and serve people. Help us keep those numbers growing! We need you! 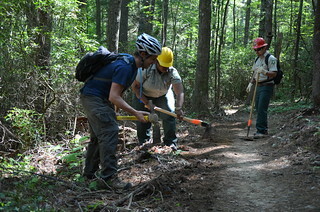 Volunteers are needed to help with a variety of projects on the national forest, such as trail maintenance, campground hosts, and cleanup days. Volunteer activities can be tailored to your specific talents and interest or you can take advantage of opportunities to learn new skills. See the @ChattOconeeNF Facebook page for a Schedule of Volunteer Activities. Our partners are a key to our success. You can join a wide range of groups who maintain trails, enhance habitats, provide conservation education, or perform a host of other valuable services. If you have any doubt about how gratifying and how much fun working outdoors in a national forest is, we invite you to come work with us and see for yourself. But let's be honest, the days are long and the work is often physically demanding, but there is always something anyone can do. 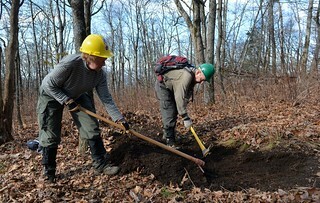 Volunteers may earn a National Forest Annual Pass by performing 20 hours of volunteer work in coordination with the Chattahoochee-Oconee National Forests. Just be sure to contact a local district office before you start to put in your volunteer time! All volunteer work and hours must be obtained under an official volunteer agreement. Our national forests have a long, rich history which has led us to where we are today. Join us and be part of our heritage. See details and opportunities at Volunteer.gov - America's Natural and Cultural Resources Volunteer Portal. Another opportunity to help is to adopt a campground. We have both developed and dispersed campgrounds that can be adopted. Needed activities in our campgrounds include general site cleanup, obliteration of illegal campsites, checking that signs are in good condition and placed properly. To adopt a campground, contact your nearest District office. Several opportunities (but not all) are listed at Volunteer.gov. 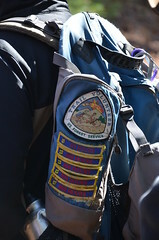 The national forest has several organized trail clubs who help maintain a wide range of trail types under the Adopt-A-Trail Program. These groups welcome folks who would like to help out on one of their regular workdays, or who might be interested in becoming a club member. Learn more about trails on the national forest: CoTrails Makes Strides in Forest-wide Trails Assessment. Lend a Hand for National Public Lands Day! National Public Lands Day (NPLD) is the nation's largest volunteer event for public lands. Join other trail enthusiasts in making a personal commitment of time and passion to our National Forest trails in order to “give back” for all the enjoyment they receive from their experiences in the great outdoors – have fun and accomplish something great! Get the details about events on the Chattahoochee-Oconee National Forests. Unfortunately, not all national forest visitors are considerate of the beauty and wellbeing of our natural resources. 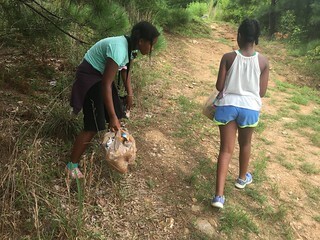 The dumping of trash is a continual problem on the Forest. There are sites around the District that need to have litter removed. We are always happy to have help with this never ending task. Trash bags and gloves will be provided. Whether you fish, hunt, bike, hike or even like to go #Plogging - there's something for everyone to help! Make the forest healthy while making yourself healthy!